You can tell a lot about pro­fessors by the things dis­played in their offices. Pro­fessor of German Stephen Naumann dis­plays maps. The walls of his basement office in Delp Hall are covered in maps — of Poland before and between the two world wars, of Germany, of Prussia. He even has a “metro map” of all the major European cities, making the con­tinent of Europe look like one giant metropolis. Born in Min­nesota, Naumann arrived at Hillsdale College in 2013. Some stu­dents believe he’d be one of the most popular pro­fessors on campus if he taught in one of the bigger depart­ments, but he nev­er­theless won over stu­dents who study German, who appre­ciate his devotion to teaching as well as his dis­tinctly European habits. Naumann himself is seven-eighths German and one-eighth Czech, but his early interest in maps was partly what led him to a love for other lan­guages and cul­tures — par­tic­u­larly those of Germany and Poland. Naumann speaks both German and Polish flu­ently, knows a little Spanish, and also learned some ancient Greek, bib­lical Hebrew, and Latin while studying at a pre-sem­inary school. 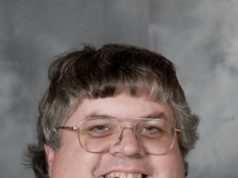 He then decided to pursue graduate studies in German lit­er­ature and went on to teach German and religion at a high school in the Twin Cities for a couple of years before joining the Hillsdale College faculty. Since high school, he has toured much of Central and Eastern Europe, and he applies a lot of his expe­ri­ences in foreign coun­tries to his teaching at Hillsdale. Junior Phil Berntson said his current class with Naumann about the post-World War II history of Berlin is probably the best he’s ever taken at Hillsdale. Senior Katarina Bradford, who will par­tic­ipate in the German study abroad program this year, said a dis­cussion in office hours with Naumann was the reason she decided to major in German. “In class we learned about the Kaiser Wilhelm Gedächt­niskirche in Berlin, and that happens to be the church where my Grand­father was chris­tened in 1925,” Bradford said. “So in office hours I brought that up, and he said, ‘Wow, that’s so won­derful — we should inves­tigate your grandfather’s her­itage,’ and he looked up pic­tures in the Kaiser Wilhelm Gedächt­niskirche records, and that was one of the things that sealed the deal for me wanting to actually major in German. You can just see his love for people and their cul­tures,” Bradford said. 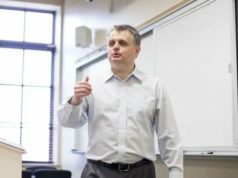 Besides German, Naumann also teaches sem­inars for the Col­le­giate Scholars program on topics such as Polish history and culture, and the migration and changing maps during the postwar era. He also helps select films for the German film series and co-runs the Slavic film series with Pro­fessor of Theater James Brandon. In addition to attending the German “Stammtisch” table in Bon Appétit each Friday, Naumann also plays on the college’s intra­mural soccer team and holds an Okto­berfest — a tra­di­tional German cel­e­bration held in the month of October at his house for the entire department. If you visit him at his office, he will offer you tea and a German or Polish treat he acquired from a European store in Ken­tucky. 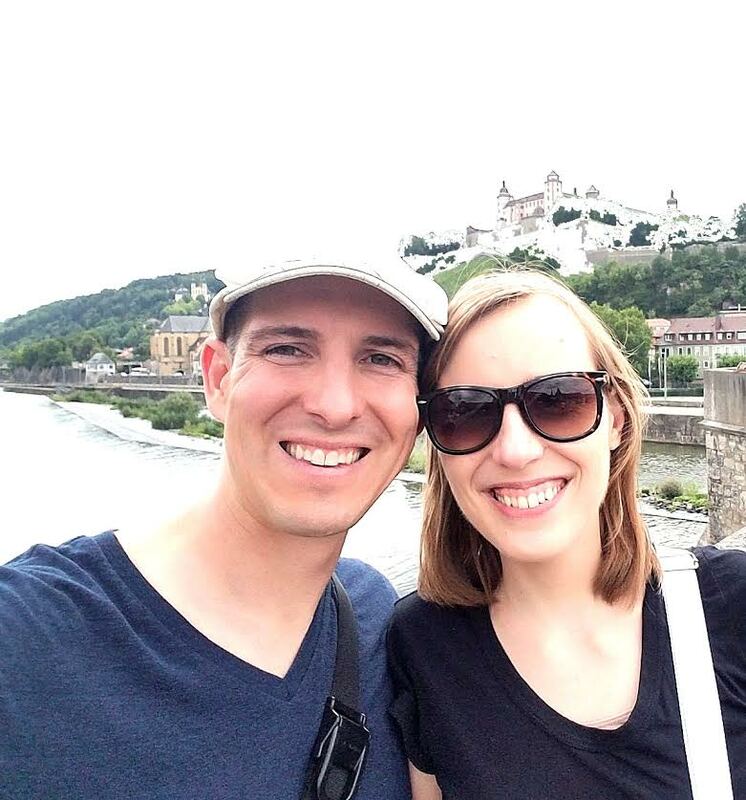 Earlier this summer, Naumann married his Polish fiancé, Agata, whom he met while studying at a lan­guage school in her hometown of Poznan, Poland. On one par­ticular day, he was looking for someone to translate a pre­sen­tation he was going to give from English to Polish, since he didn’t want to write it in Polish. Naumann said a mutual friend intro­duced them, and “the rest is history.” Agata taught two years of French as a graduate student at the Uni­versity of Ken­tucky and is now in Hillsdale working on her dis­ser­tation for her doc­toral degree in his­panic studies. Naumann’s favorite German word is “fernweh,” which has no direct English coun­terpart and denotes a desire to be abroad, or a pining away for no place in par­ticular. The exis­tence of the word in the German lan­guage makes sense, as Germans travel more per capita than any other country. Naumann rec­og­nized this from a young age, remem­bering with fondness the “Wan­derman” (hiker) dec­o­ration hanging up in his living room.